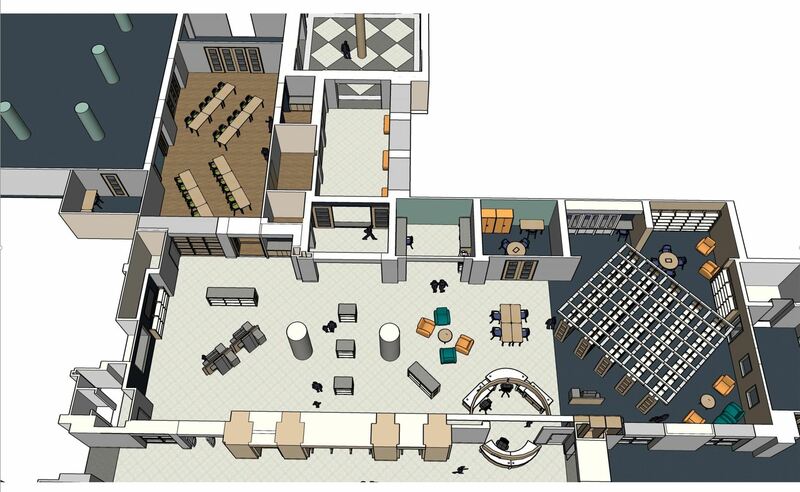 A layout of what the new Circulation Lobby, Red Carpet, Business Center, Learning Center and Make-It Lab will look like. Image courtesy of Tevis Architects. Construction has begun on the library’s circulation plaza, the main lobby that includes the customer service desk and checkout kiosks. Bestseller Express and DVD Express items have been moved into the middle of the New Books and Media Room near the computers. The customer service desk has been temporarily moved the the west side of the circulation lobby area. The flooring will also be replaced in the library entrance, circulation plaza and main hallways. This work is scheduled to be completed in spring 2019. You may have noticed that items from our Red Carpet area have moved. 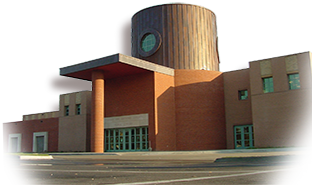 Large print books and the Business Center are temporarily located in the Learning Center, across from the Holds Room, while the Red Carpet space is being remodeled. Other items, such as games and instruments, that were also located in Red Carpet can still be checked out. Just browse our online catalog and ask a staff member to get the item for you to check out. The remodeled Red Carpet area will have reconfigured shelving to make it easier to find the Large Print items you want. The Business Center will be moved to a larger area where the customer service desk is currently located. These changes are planned to be completed in spring 2019. 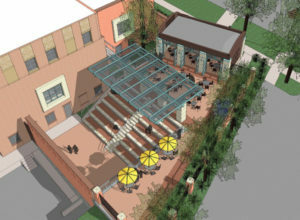 An architectural rendering of the Claire’s Courtyard. Image courtesy of Tevis Architects. 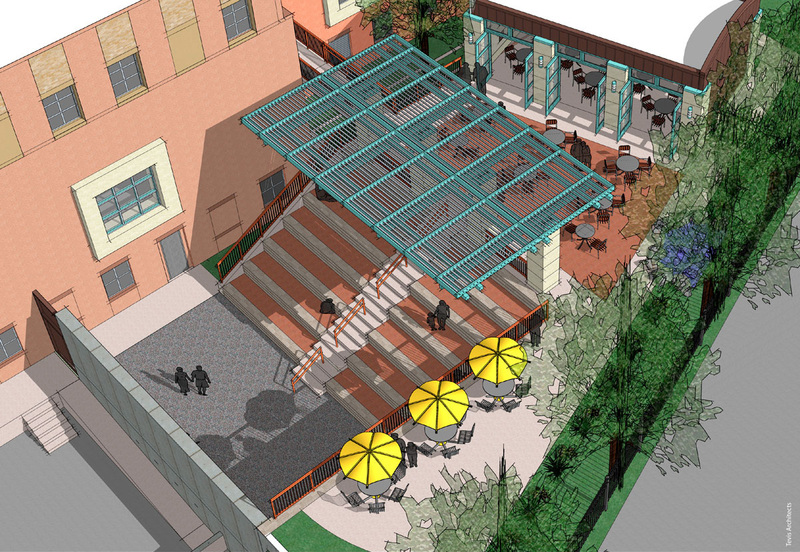 Construction on Claire’s Courtyard, named after donor Glenn Swogger’s beloved late wife, will continue through the fall and winter. The courtyard, which will include a pavilion, al fresco dining and an outdoor amphitheater, is expected to be completed in early 2019. 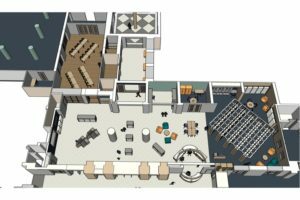 The Learning Center will be remodeled and rearranged in spring 2019. This will allow the space to be used for a variety of learning experiences for people of all ages. The Make-It Lab will also be moved from its current location in the northwest corner of the New Books and Media Room to an area next to the new Learning Center. The new Make-It Lab will feature better soundproofing, software and equipment. Construction is planned to be completed in summer 2019. Washburn University English student Autumn Lamp is our communications intern for spring 2019. Posted in Library News and tagged construction.